Oh,how precious.glad to know all is well.may God bless. Congratulations, what a beautiful grandchild. May GOD bless you and yours. My goodness! Look at all that hair. He’s a handsome fella. God bless. Congratulations on the new baby. It is so great to be a grandparent, although I am now a gr-grandparent. That is joyful too. Congratulations Pastor Mike! Wonderful news. Glad all went well. God Bless Jadon and his parents. 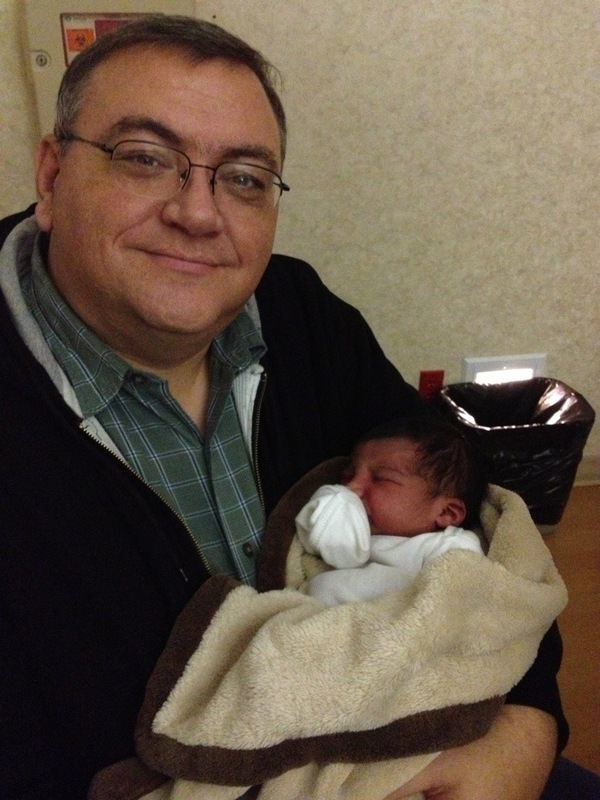 Congratulations Pastor Mike and Lisa, on the handsome grandson the Lord has given. I’m sure Alisha is breathing a sigh of relief. The Lord bless her and her hubby and Makayla. Congratulations Pastor Mike and Lisa. I am so happy for your family! this child was born on what would have been my Momma’s birthday. I am so happy for each of you. I see there will never be a lack of love in his life! Thanks for sharing the pics with us. Congrats Pastor Mike and Lisa. Beautiful addition, so precious.